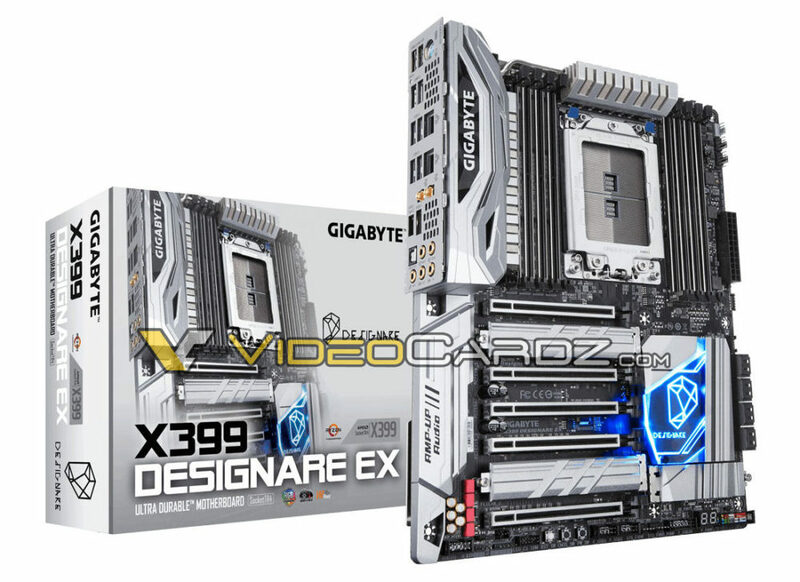 Here’s a new motherboard for X399 Ryzen Threadripper platform, only at VideoCardz.com. In terms of design, the X399 Designare EX is almost identical to AORUS GAMING 7. There are few minor changes though. Apart from the new color scheme and lack of AORUS branding, the Designare has I/O bracket pre-installed (same as GAMING 9 series). It also ships with two Ethernet ports. Apart from that, we have the same layout as Gaming 7. The official picture has no LED lighting on PCIe/DIMM slots.